ReOPEN partners not only developed open online courses, but also engaged to receive formal recognition for these courses, be it by formal education institutes or by employer organisations. How this was achieved and which kind of recognition is available is described in detail on our website. 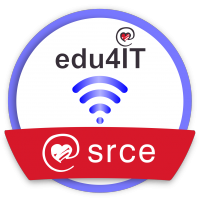 On the left you see a ReOPEN Badge, issued by the university of Zagreb for the Course: Wireless Network Design.